Little Learners Program: on hiatus in 2018-2019, to return in 2019-2020! Little Learners is a community of children and caregivers learning and growing together through song, dance, art and play. All Love of Learning families with younger siblings (0-3 year-olds) are invited to 'Stay and Play' for a morning of play, crafts, songs, and stories. The group meets on Thursdays from 9:15am-11:45am. Children need to be accompanied by moms, dads or caregivers. The home-base for Little Learners is Seaside (the smaller, one-story cabin on the beach) at Harborside Campus. 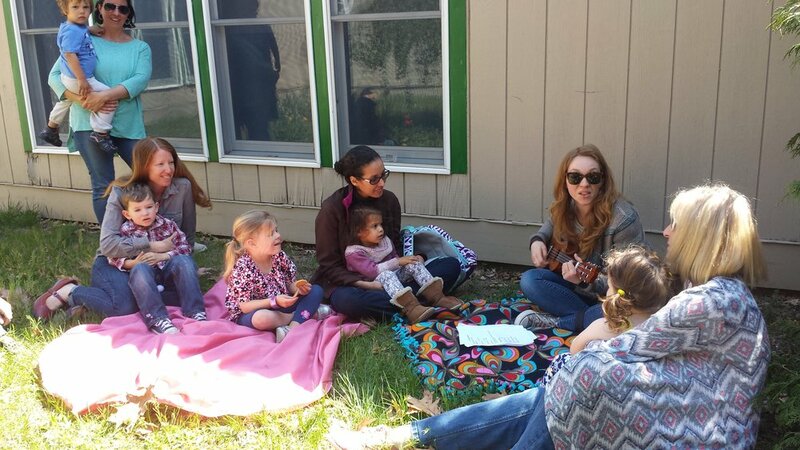 Sometimes the groups meets inside, sometimes they explore the beach or woods, but there is always a craft, songs and stories. Check the school calendar for details on the meeting place each week. While the children enjoy interacting and socializing with each other and playing with all the toys, the grown-ups enjoy sharing advice, knowledge and experiences together. 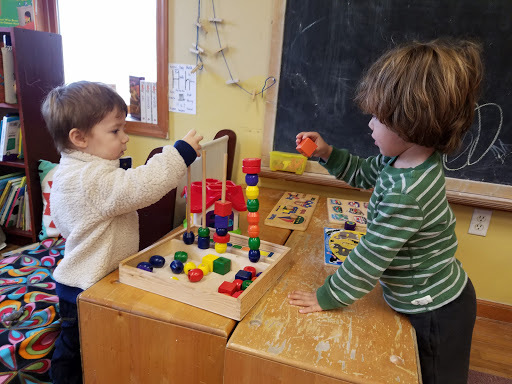 Little Learners also facilitates the transition to preschool; the children start their first year already familiar with the setting, students, and staff. Little Learners was founded in 2016 by a Love of Learning parent and elementary teacher, Sarah Hodgkinson.